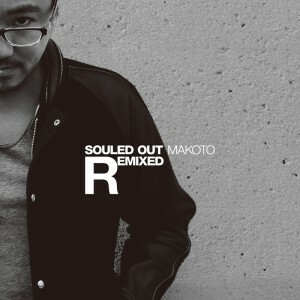 In 2011, Japan-based producer Makoto reached out and grabbed the hearts of listeners worldwide with the release of his masterpiece album “Souled Out“. The album garnered massive support from top-tier artists across the globe, many of whom contributed their own interpretations of the musical works from the album for its 2013 rebirth as “Souled Out Remixed“. The all-star cast of remixers includes Holland’s star producer Lenzman, best known for his innumerable releases through his highly respected Metalheadz label. Joining in from the American side are Random Movement, whose own album has been released via DJ Marky‘s label Innerground, and Detroit’s highly original creator Sinistarr. And from Makoto’s home turf in Japan, Bun, whose own album has been released through Ryuichi Sakamoto‘s commons, Bass-music artist Ena who has just released his 1st album on French bass music label 7even recordings and , and club-jazz band Jabberloop complete the cast of remix artists. With the additional inclusion of Makoto‘s own self-remixes, the album leaps across the boundaries of genres, showcasing the true progression of Makoto’s sound since his 1998 debut as a drum’n’bass artist.